But all joking aside, this is a great recipe to introduce some yummy Thai cuisine to your family. You can serve it over rice, noodles, as a salad topper or in lettuce wraps. And the fact that you can set-it and forget-it in the crockpot makes this a KEEPER! 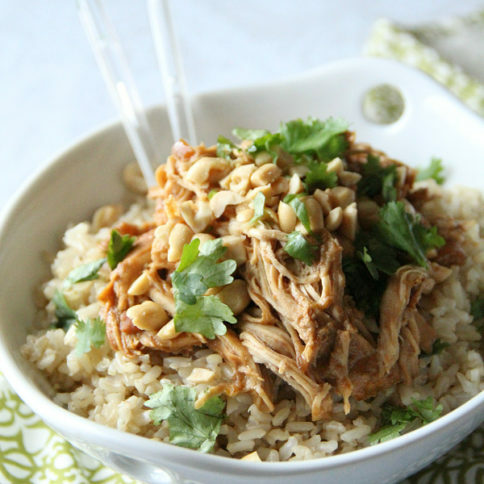 How do you plan on serving your Crockpot Thai Peanut Chicken? 1. 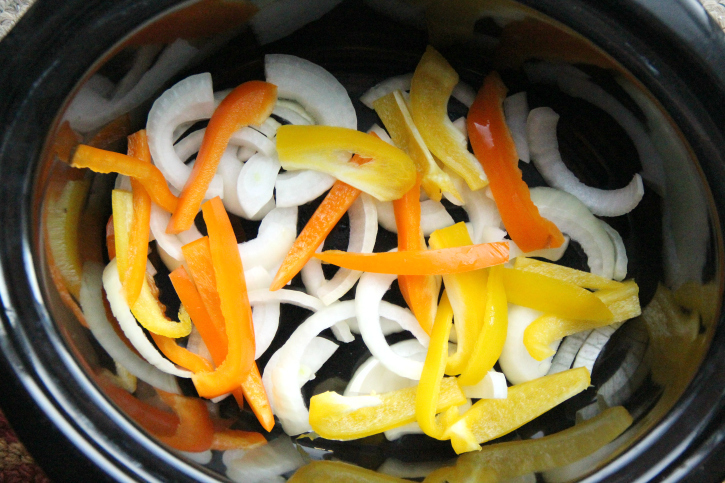 Place peppers and onion at the bottom of the crockpot. This will act as a “stand” for the chicken, so it doesn’t dry out. 2. Next place chicken on top. 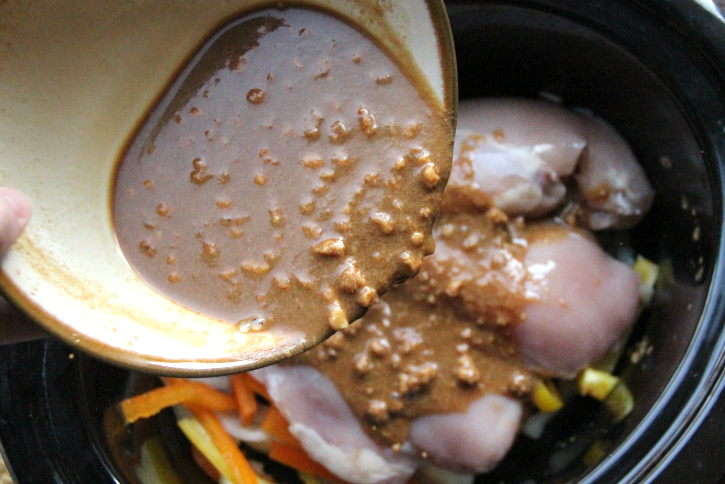 In a bowl, mix together peanut butter, lime juice, chicken broth, soy sauce, and honey. Pour sauce over chicken. 3. Cook for 3-4 hours on HIGH or 6 on LOW. When 15 minutes remain of cooking time, shred chicken with two forks. Cover and continue cooking for the remainder of the time. Remove from crockpot and serve over brown rice, noodles, OR using as a salad topper or in lettuce wraps! Do you love Family Fresh Meals? 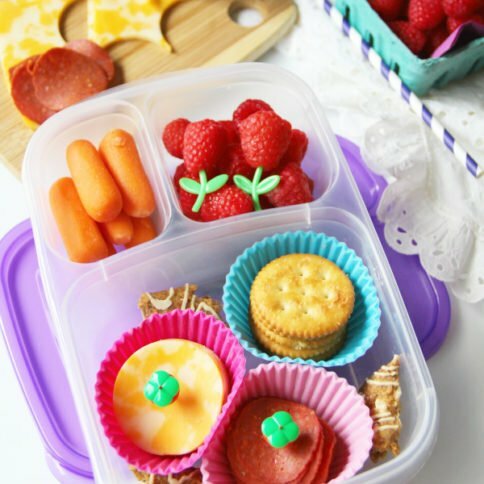 Never miss out on FUN new meals or easy lunchbox ideas for the family and SIGN UP to have my posts sent right to your inbox! It’s EASY PEASY! JustCLICK HERE and enter your email! Need a no-fuss, SUPER-DUPER easy Thai dish? 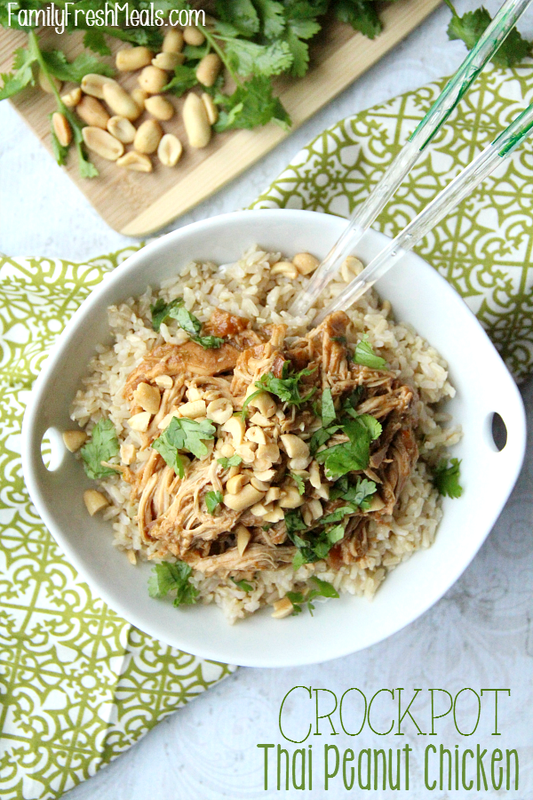 This Crockpot Thai Peanut Chicken Recipe delivers a subtle sweet peanut flavor that the whole family will love! Place peppers and onion at the bottom of the crockpot. This will act as a "stand" for the chicken, so it doesn't dry out. Next place chicken on top. In a bowl, mix together peanut butter, lime juice, chicken broth, soy sauce, and honey. Pour sauce over chicken. Cook on HIGH for 3-4 hours or 6 on LOW. When 15 minutes remain of cooking time, shred chicken with two forks. Cover and continue cooking for the remainder of the time. 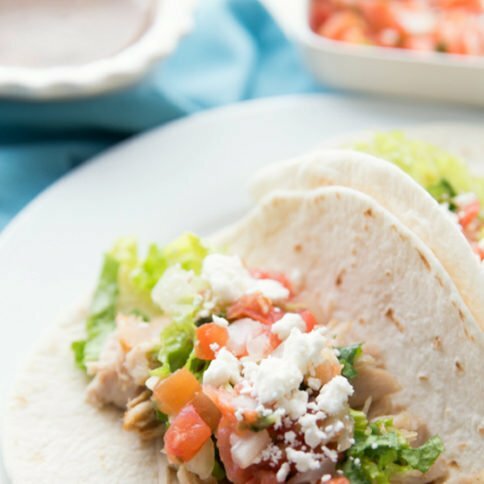 Remove from crockpot and serve over brown rice, noodles, OR using as a salad topper or lettuce wrap! Top with peanuts, and if you like, cilantro. 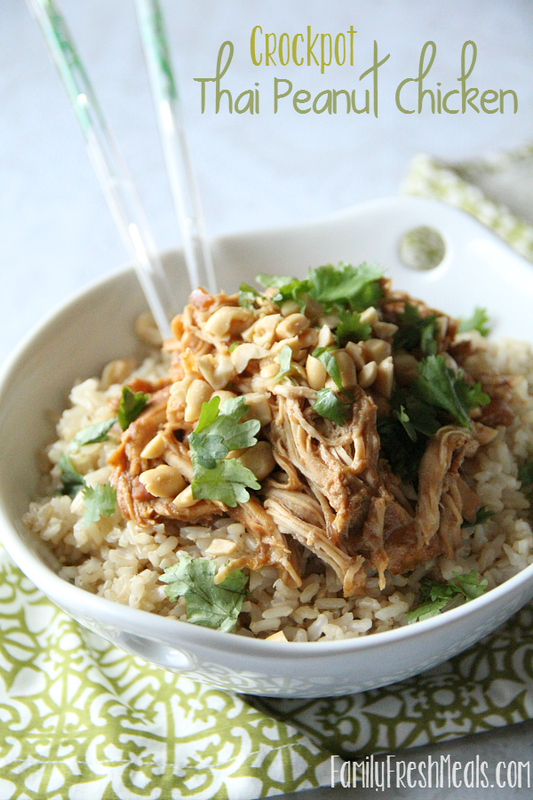 Here is what used to make this Crockpot Thai Peanut Chicken Recipe! I sent this recipe to my daughter. Many years ago she made Thai Peanut Chicken for my birthday. She is a great cook and I think she will enjoy making yummy dishes so easily. Thanks for great ways to make wonderful meals!! Cool! I hope she loves this recipe too! I can’t wait to try this!!! Hopefully this week!! Thanks Corey! Yay! I hope you love it Jen! This looks AMAZING! 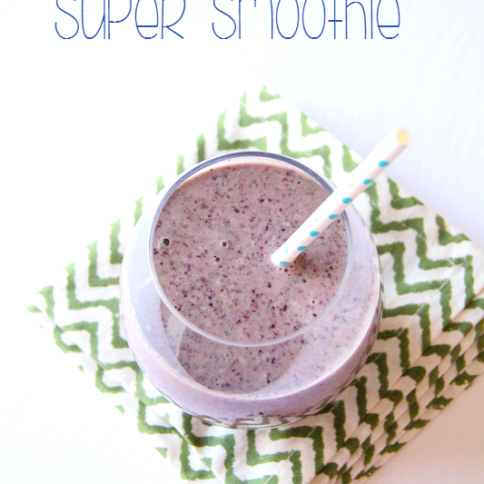 Cannot wait to make a batch of this for myself to have for a busy week. Thanks for sharing! AHHHH!!! I found this recipe about 2 hours too late!!! Wanted a crock pot chicken recipe and this would have been it! =) Can’t WAIT to make it next week! I am drooling. Loooove me some thai food! Most chicken crock pot recipes sat 6-8 hours on low. They really get cooked at 4? Can I use natural peanut butter? I make peanut sauce recipes when the jar is nearing empty. I put all the ingredients into the jar and shake. It gets all the lost bits from the jar and nothing goes to waste. What a fantastic idea!!! Thanks for sharing. Just made this tonight and it was a hit! Everyone loved it! thank you for sharing! Love it with almond butter! Marinated the frozen chic. br. in lime juice (in fridge overnite)-in morning I assemble everything in crockpot, with addition of 1 tsp cinnamon, grated orange peel and tsp hot pepper flakes. Ooo, this is proof positive that I need to read the comments BEFORE starting the recipe. Can’t wait to try it this way! Thanks for sharing, Judy. Do you think powdered peanut butter would work? If so, would you mix it with water first or just add the powder? Thanks! YUM! I love PB2 🙂 I would mix it with water first 🙂 Great idea! This looks simply amazing! 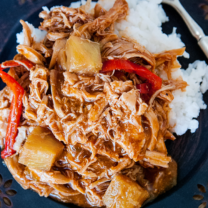 my husband and I love thai food and this is the first recipe i stumbled upon that is crockpot worthy! the ingrediants are on my shopping list and i do believe this will be a big hit dinner this week! Thanks so much ! I’ve made a similar recipe on the stovetop before and it was delicious but not nearly as flavorful as this crockpot recipe, since the sauce didn’t have as long to meld flavors. 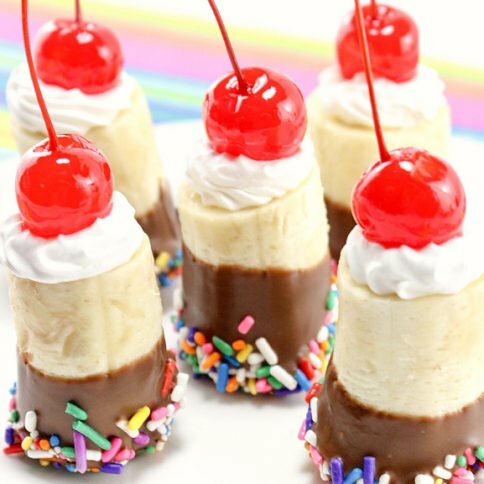 Delish recipe!! I only made two additions to suite my hubby and I: about 1Tbsp Siracha sauce (HOT!!) and some fresh minced garlic. Otherwise, it’s divine as it is. How do you think it would do with boneless skinless chicken thighs? I think that would work out great Maureen! I can’t tell by the photos – what do you do with the bell peppers and onions? Do they get mixed in with the shredded chicken? Thanks! This was good! We had it over rice and then the next day we had it in “romaine boats” and that was my favorite way. My husband and I were fighting for the last one. 😉 The only thing was the peppers got a little burned and dried out from being on the bottom like that. I am so happy you guys love this one! Super idea doing the romaine boats! As peanut butter is very expensive here in Peru, I have learned to make my own at about half the price. Although I would like an alternative to using honey I did have just enough on hand, to make some Thai Chicken. This was indeed very tasty…………..and didn’t last very long. How about agave as a substitute for honey? This recipe is absolutely fantastic. So easy and delicious. I will make this again and again. The only thing I would do different would be to add some cayenne pepper to the sauce. It’s a keeper!!! I was really looking forward to making this recipe and my husband couldn’t get enough of it. He kept saying “it’s soooo good and bland.” I was slightly disappointed as I was expecting a little more flavor. 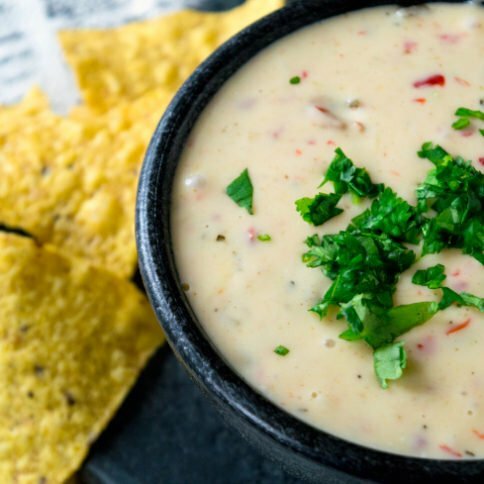 I really love the ease of the recipe and the base flavors are great but can you suggest ingredients to add to give it a little more zing? If you really want to kick the heat level up, try Sambal Oelek Chili Paste. I find it in the Asian section of the grocery store. Be warned, it’s HOT. And oh so good! No peppers or onion (we mostly don’t like) or lime. Thinking of trying carrots on the bottom of the crock and subbing lemon juice. Will it be awful? Hmmmm. The carrots should be fine, but I am worried about the lemon. Most people who have made this don’t even notice the peppers or onions. They really do cook down to barely nothing. Do you think this would be overcooked if it was left for 8 hrs on low? I work from 8-5 and wouldnt be able to get home after 6. I use a lamp timer when I use my crockpot during a work day for that reason. I set it to go on an hour or two after I leave for the day depending on needed cook time. My meats are generally still a bit frozen when I use my crockpot. I set the timer to turn off after time needed to cook. My timer will turn off before I get home. dinner is hot, ready and not over cooked when the family & I get home. There is a crock pot that is sold at JCPenny in the Michael Graves collection that has a delayed start option. 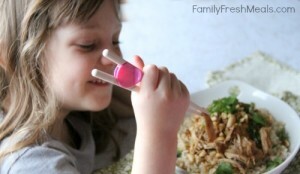 Very handy when you need your meal to start later in the day. It is very stylish too, silver and a orange/rust color. You should never used delayed start slow cookers with raw meat, but there are slow cookers now that will cook your meal and then switch to warm for up to six hours. Otherwise I’d make it on the weekend. Chicken never needs more than about 4.5 hours to cook. I use thighs, because they remain much more moist than breasts. I had to host a dinner for 8 on my workday. Ugh! This recipe was perfect. The other family doesn’t like spicey so my hubby and I added cayenne pepper to ours. 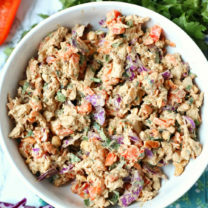 I was so stressed out having to host this dinner and this Thai chicken was just sooo easy. I look forward to trying your other dishes. This is my new favorite slow cooker recipe. I put it over quinoa and it was delicious! In step 3 should it say on high for 3-4 and on low for 6? It has the word low before the 3-4 and then says on High after. Any suggestions of what to serve with this. Maybe just a green salad? We love to serve the chicken over rice with a side of steamed broccoli, edamame, or yes…. a green salad 🙂 Hope that helps! This is the second receipe of yours that I’ve tried with excellent results! I’m new to using crockpots and your recipes make me look like a pro. My family likes a lot of sauce so I doubled-up those ingredients and the meal was delicious and perfect! I liked the basic recipe, but I added a few cloves of garlic, some ginger, and a liberal pour of sesame oil to the sauce. It turned out very well. I am adding a tablespoon of asian chili paste/sauce to spice it up. Nothing like sweet + heat! Should be done in t-minus 6 hours. so good! my boyfriend now begs me to make this all of the time. I added ginger, thai curry paste, garlic, and sesame oil. How did you add ginger? Sounds great! Use a rasp or a cheese grater with a bulb of fresh ginger, and grate about 1 tablespoon’s worth, more or less to your liking. Do you think I could put broccoli in this too? Or would the broccoli be too mushy by the end? Would green beans work? Or should I make the vegetables on the side? 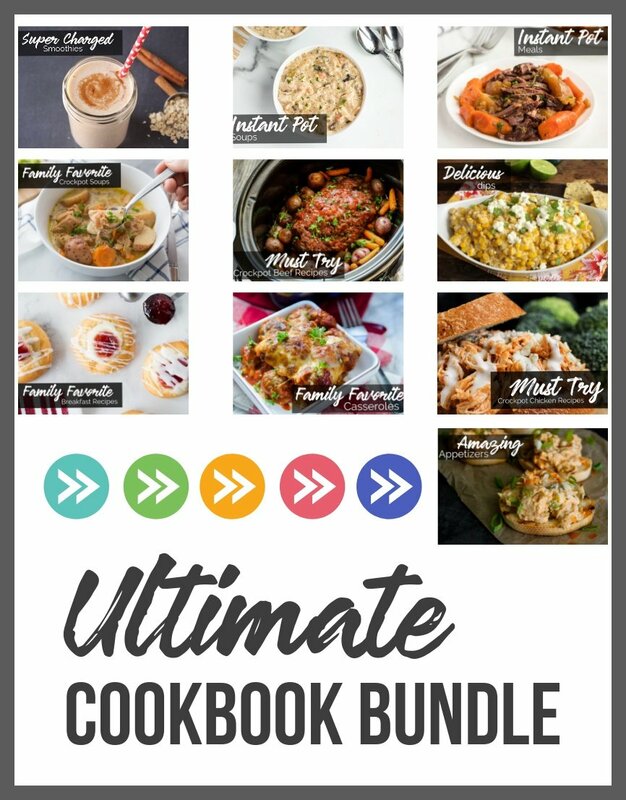 I’m new to crock pots and not sure how things cook? I haven’t tried this with veggies yet. I would add them in near the end of the cooking time, or just make them on the side. If I’m using frozen chicken breasts, do I thaw them first, or do I just use them frozen and then lengthen the cooking time? Did anyone reply about using frozen breasts? And I think I’m going to dice a sweet potato intro the bottom layer! Bad idea? I’ve read that adding frozen chicken is totally fine- it just adds a little extra liquid! So excited to try this recipe tonight! Thanks for the recipe. It’s my second crockpot recipe, after your amazing tortellini soup. That one’s a tough act to follow. But, this is terrific. I loved it. One daughter liked it. And, the other daughter said “Can I just eat the rice?” Ha! Cna’t win them all…I’ll make this again nonetheless. YAY! I am so happy ya’ll loved it! That’s just how sauces turn out in a slow cooker. You can always thicken on the stovetop with cornstarch. 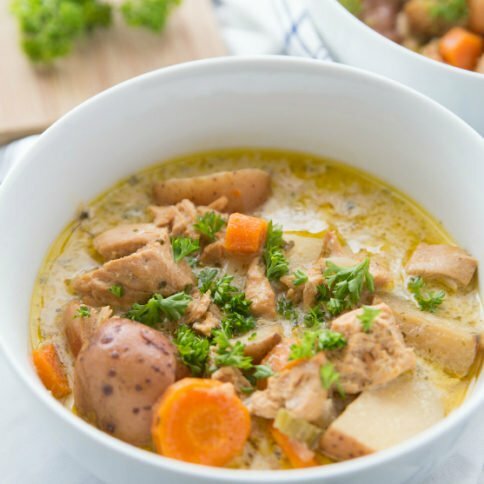 This is a really tasty recipe – I find so many crockpot recipes end up tasting somewhat similar, but this has some stand-out flavors. Based on a few other comments, I did jazz it up a bit by adding about a tablespoon of sambal oelek in the sauce, not sure I’d have been able to give it 5 stars without that extra little flavor punch. I’m sure any spicy chili paste/sauce would work as well. I cooked it for about 8.5 hours on low (got home from work later than anticipated) – not a huge amount of sauce, but not dried out at all and delicious just the same. I also found it yielded about 6 servings – 4 servings would be huge helpings! This was amazing, did not have time in the morning to put in crock pot, so put all ingredients together in skillet and it was great. Husband loved it. I will try crock pot next time. This was the first recipe I tried in my crock pot and it’s unfortunate to say that it didn’t taste how I expected. I don’t know if I did something wrong..maybe? Everyone commenting seems to love it, but the smell and taste just wasn’t appetizing to me. I followed the directions to the T. I feel like the peanut butter makes the dish smell funny. 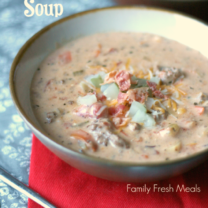 Just made this – thanks for a good crock pot recipe that is easy and not totally can-based! I enjoyed it but for me the flavor was definitely very peanut buttery. Some people may love that but I think next time I’ll do less peanut butter and more soy, honey & lime + siracha for some kick. Overall I enjoyed it though and will repeat with a few adjustments. Thanks! This is delicious. Great recipe! Does this make a lot of “sauce” or should I double the sauce ingredients? No, this does not make a lot of sauce Marti. This was really tasty. Thanks for sharing! Could I freeze the left over chicken? I want to try this but I only cook for myself and probably won’t want to eat it 4 days straight. Can I add curry powder to this or will that mess with the flavor? Not good. I just made this, and it has a gritty/burnt taste, and left 2-3 cups worth of liquid after cooking. I set it on 6hrs, so maybe it’s better on 4hours. I also used more than the recommended chicken, but I won’t be making this again. Sorry you didn’t like this recipe Christine. Yes, maybe the lesser time would work better for your crockpot. Some slow cookers can run hotter than others. The whole family loved this recipe! 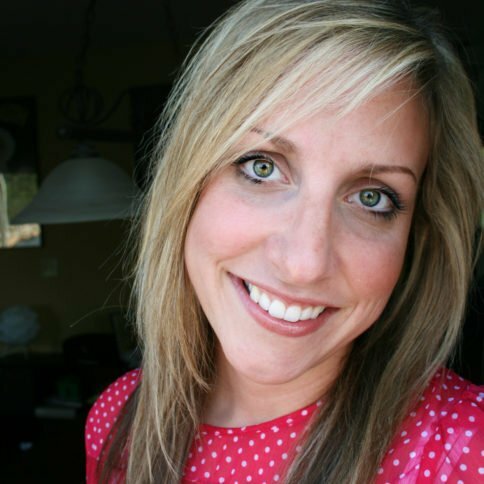 One of our favs from your website. Even the kids gobbled it up! I made this, following quite closely, adding just a bit of cinnamon, ginger, and sherry. I don’t know what it tastes like. It was gone when I got home. Three days later, my wife asked me to make it again. This time, I added a bit of fish sauce too. This is one of the best crockpot recipes I’ve ever tried. Added an extra pepper and coated the crock liner with sesame and chili oil. Aside from that, I more or less followed the recipe as written, estimating amounts of listed ingredients. I seriously can’t wait until lunch tomorrow to dig in. Couldn’t help myself and had a small cup just now! We made this Friday night for the first time and served it to guests untested! HUGE hit. 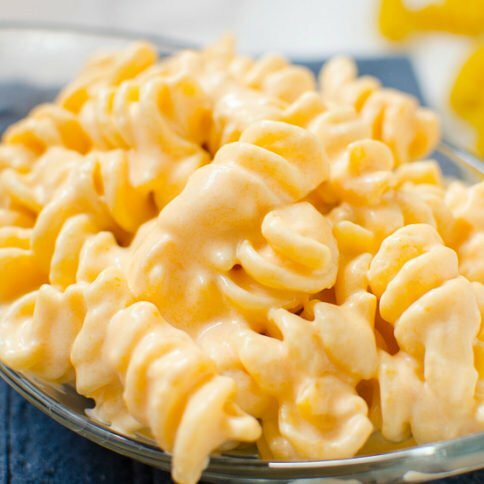 Great recipe, very easy, and very flavorful for parents and kids alike!